Famous For: Religion, Mythology, Photography, Nature, Trekking. Visiting Time: From Sunrise to Sunset Daily or as per your convenience. Visiting Duration: 4 hours to 5 hours minimum. Situated in the Garhwal Himalayas, the quaint and sacred hill station of Badrinath has a spectacular view to offer. While the snow-capped summit of the Neelkanth Peak glistens in the horizon beckoning every traveler to enjoy the adventurous experience of marching upon its bosom, the religious Hindu shrine calms the freezing nerves down to let the heart and the mind sweep into a trance of respite. The cascading waterfalls, the dancing leaves and the mighty eagles dotting the distant horizon form an orchestra of their own in the neighbourhood. Thus, this is the exact view that one sees while embarking on a journey to the Charanpaduka which is one of the holiest shrines of the Hindus. Hence, because of its scenic beauty as well as its religious importance, the Charanpaduka is one of the most visited places in Badrinath. Be prepared to walk a lot. To avoid much pain, wear the shoes that make you feel comfortable. Carry first aid alongside lest you hurt yourself. Remember to wear clean and fresh clothes. Also, go to the religious site after taking a shower. Capture the beautiful moments in your camera. Avoid visiting the place in monsoon as the track to Charanpaduka becomes extremely slippery and if you slip accidentally, there is no coming back. Pray to the Charanpaduka for a healthy and prosperous life. If you are looking for adventure, then you can go for one of the popular mountaineering expedition up to the base of the Neelkanth Peak. Feel free to pose with your camera as the scenic beauty is breath-taking. Pluck some lovely orchids on your way to the sacred place and offer them to the Divinity along with your prayers. Guides are hardly found at Charanpaduka. The local people will guide you to reach the holy place. This place is situated on the higher altitudes that remain piled up with snow half the year round. So, the best time to visit Charanpaduka would be in between April and November as these are the months during which the government officially grants permission to embark on this pilgrimage. 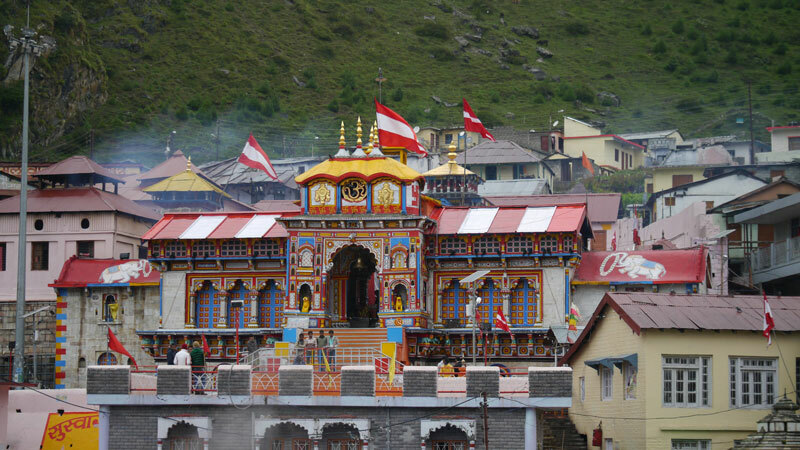 To reach Chadanpaduka, you have to reach Badrinath first by a hired cab or a private bus. Once you reach there, you can trek to Chadanpaduka which is almost 3 km away from the central part of Badrinath. The Charanpaduka is a holy shrine of the Hindus. It is a huge boulder on which the footprints of Lord Vishnu are said to have been embossed according to the Hindu mythology. The Hindu pilgrims believe that a holy visit to the Charanpaduka will cure any kind of ailment because of which the person is suffering. The Charanpaduka is a breathtaking site in terms of the religious importance and the panoramic beauty too. This age-old pilgrim point and trek route has enchanted pilgrims and the lovers of adventure since time immemorial. People believe that even a glimpse of this sacred boulder can bring good fortune upon the pilgrims and bless them with good luck and good health. Thus, Charanpaduka is a place that should not be missed for trip.